Various states have differing requirements for licensure of non physicians to perform these procedures, and some have none at all. It is up to the student to determine those requirements and the suitability of this course prior to purchase. The Course includes online access to the narrated and illustrated lectures (about, 20+ hrs), a 184+ page PDF course manual (20+ hrs), a PDF copy of all the slides, and a Certificate of Laser Training. Online quizzes are at the end of most modules which you must pass with a 70% or greater score. If for some reason you don’t pass a module we’ll reset you for that at no charge. You’ll listen to the online lectures but must also study each chapter of the book. It includes forms and checklists that are valuable in establishing this type of practice. Approved for 41.2 Nursing CEU’s and Qualifies for Category II CME. *Note: The States of Arizona, Ohio, Florida and Texas will not accept Online programs for Aesthetics & Hair Removal for licensing purposes.You must instead attend a State Approved in-person seminar. Contact those States for information. The Course includes online access to the narrated and illustrated lectures, a pdf course manual, a PDF copy of all the slides, and a Certificate of Laser Training. Online quizzes are at the end of most modules which you must pass with a 70% or greater score. If for some reason you don’t pass a module we’ll reset you for that at no charge. You’ll listen to the online lectures but must also study each chapter of the book. Approved for 16.1 Nursing CEU’s and Qualifies for Category II CME. Price: $495 for ONE $795 for TWO persons— PLUS allows you to add up to 5 additional people at only $125. 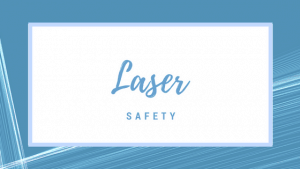 MEDICAL LASER SAFETY OFFICER CERTIFICATION: Accredited Training Certificates are different than a Certification as a Medical Laser Safety Officer. There are currently (2016) no requirements that one MUST be Certified as an MLSO, but the 2016 ANSI 136.3 Standards do recommend such Certification. 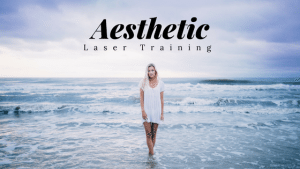 This course will meet the training requirements in order to take the CLSO/M Certification exam from the National Council on Laser Certification (NCLC). You may make separate application and take this exam at a location convenient to you. See www.LaserCertification.org for details. During our live 2 day LSO seminars we administer this exam at the end of the seminar for those wishing to take it. The Course includes online access to the narrated and illustrated lectures, a PDF course manual, a PDF copy of all the slides, and a Certificate of Laser Training. Online quizzes are at the end of most modules which you must pass with a 70% or greater score. If for some reason you don’t pass a module we’ll reset you for that at no charge. 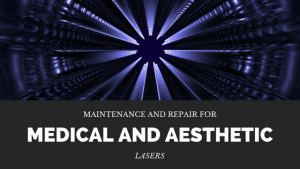 Attending the actual week long course is the best way to learn laser repair, but this course can make you more knowledgeable (and a better buyer of service) in the interim. Approved for 16 Nursing CEU’s and Qualifies for Category II CME. Also qualifies for AAMI BMET credits. Price: $1495 for ONE person Fee is applied to the actual workshop course fee of $6550 for the week long program if registered within one year of the home-study course. The Course includes online access to the narrated and illustrated lectures, a PDF copy of all the slides, and a Certificate of Laser Training. Online quizzes are at the end of most modules which you must pass with a 70% or greater score. If for some reason you don’t pass a module we’ll reset you for that at no charge. You’ll listen to the online lectures and follow along with the printout of all the narration on the slides, taking notes as needed. Approved for 16.1 Nursing CEU’s and Qualifies for Category II CME. The Course includes online access to the narrated and illustrated lectures, a PDF copy of all the slides, and a Certificate of Laser Training. An online quiz is given at the end which you must pass with a 70% or greater score. If for some reason you don’t pass we’ll reset you at no charge. Approved for 1.0 Nursing CEU’s and Qualifies for Category II CME. Price: $195 for ONE $295 for TWO people, PLUS the option to enroll an additional 5 people at $125 each.